Welcome to Ashland High School! Mission: The mission of Ashland High School is to focus on student learning. We will work to ensure students connect to their education by making learning relevant so that students become responsible citizens and contribute to society. Students will learn academic skills: reading, writing, math, critical thinking and communication. Students will learn how to get along with others in a safe learning environment. Overview: Welcome to Ashland High School! AHS is located on the beautiful south shore of Lake Superior. Our school serves approximately 700 students in grades 7-12 between Ashland High School (grades 9-12), Lake Superior High School (charter school grades 9-12), and Oredocker Project School (charter school grades 7-8). We have a diverse student population with students coming from the City of Ashland, the Bad River Band of the Lake Superior Chippewa Indian Community, and outlying communities as well. We are proud of our diversity and strive to honor our rich heritage. We are proud to be able to provide something for every student at AHS. Our comprehensive curricular offerings are aimed at providing students with the learning experiences that they will need to be prepared for whatever direction they may choose to pursue after high school. We offer a host of athletic and other co-curricular offerings that enhance the high school experience of our students. 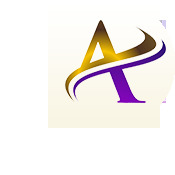 The aim at AHS is to provide students with a high quality educational experience in a climate that is safe, respectful and positive for everyone. Our modern facility is well equipped, well maintained and provides a wonderful environment where students can learn. Among the greatest resources at AHS is its staff. The AHS staff is first-rate and is filled with highly qualified, experienced and caring people that are committed to student success. That commitment is demonstrated each day as our staff works hard to help our students succeed academically as young people and as members of society. AHS is a true jewel in the community. We encourage you to come in and see what AHS has to offer. We also encourage you to be part of the educational process at our school through the opportunities that are provided for parents, families and the community. By working together, we do great things for our children! School District of Ashland ..An Exciting Place to Be! School District of Ashland ..An Exciting Place to Be! CHECK IT OUT! The School District of Ashland released a commercial. School District of Ashland Video. School District of Ashland video advertisement. A special thank you to BAYNET for working on this video project!